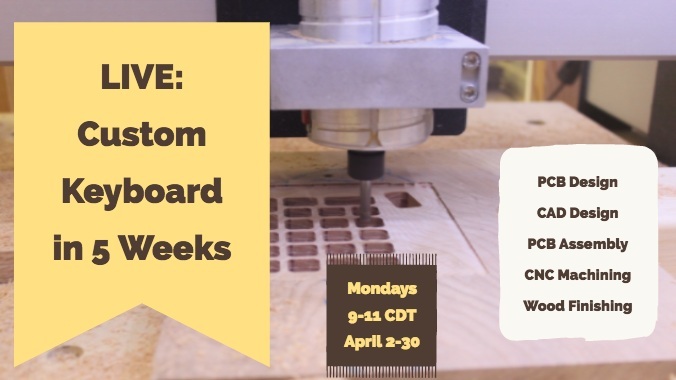 This is a 5 episode weekly live stream to design and build a keyboard from scratch. I will start with a layout, refine that using KLE, then design the PCB using KiCAD and the case using Fusion 360. These will then be built and assembled on the stream. Week 1: Layout in KLE and PCB design. Week 3: PCB assembly. SMD components will be soldered using a stencil to apply solder paste and an electric griddle to reflow the PCB. 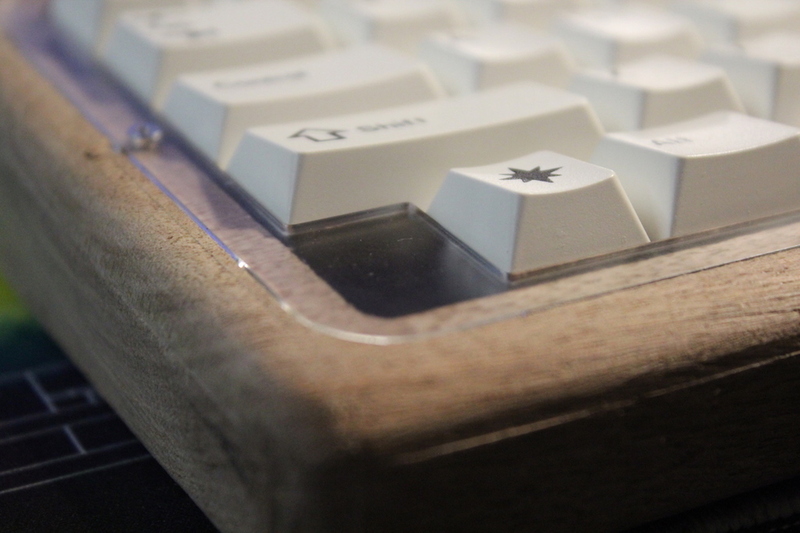 Week 4: Machine the case from wood using a CNC router. Sand the case, apply initial coat of finish. Week 5: Complete case and final assembly, programming, and testing. The result of this project is the Shadrach keyboard. Check it out and order a custom version now.